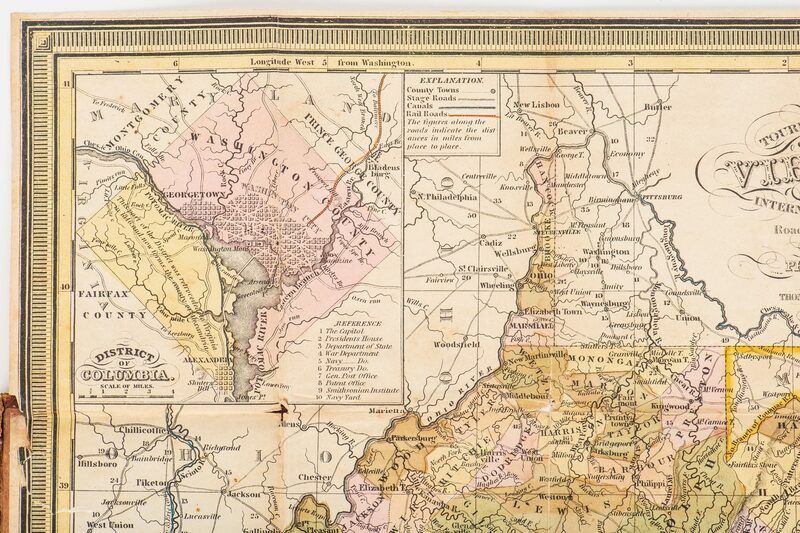 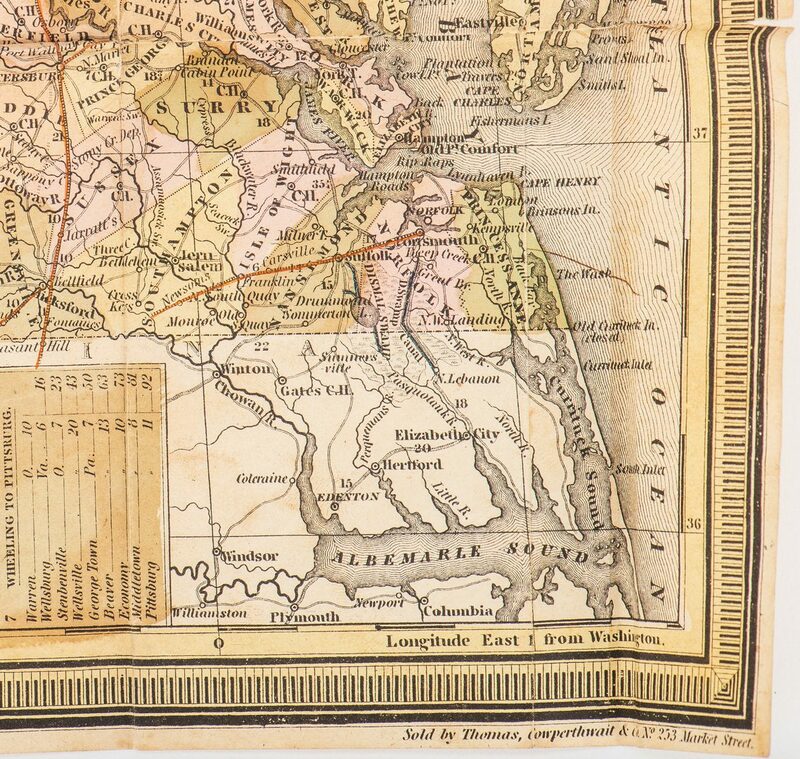 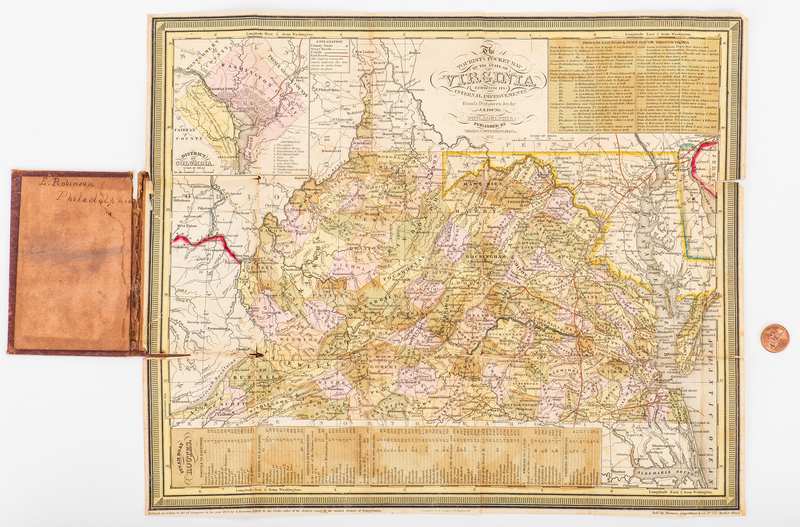 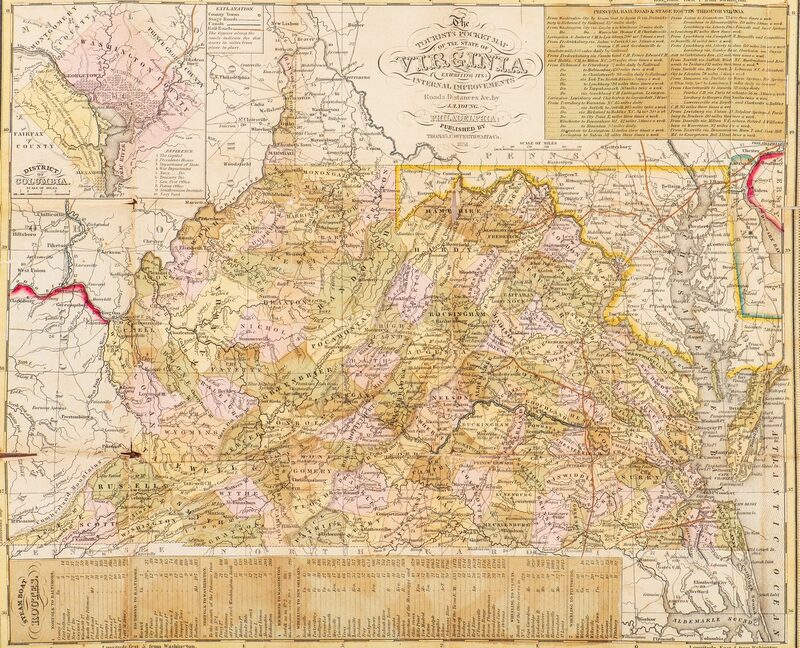 "The Tourist's Pocket Map of the State of Virginia Exhibiting its Internal Improvements Roads Distances &c." drawn by John Hamilton Young, engraved by E. Yeager and F. Dankworth, published by Thomas, Cowperthwait, and Company, Philadelphia, 1851. From the Tourist Pocket Map series by Samuel A. Mitchell. 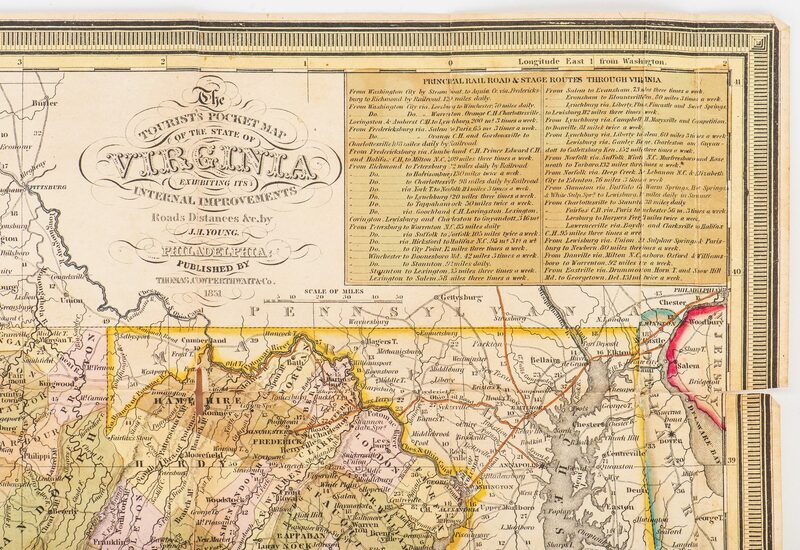 Copper plate engraving with hand coloring of Virginia depicting towns and roads, county lines, names of counties, rivers, mountains, and railroads. Inset map of District of Columbia, top left. 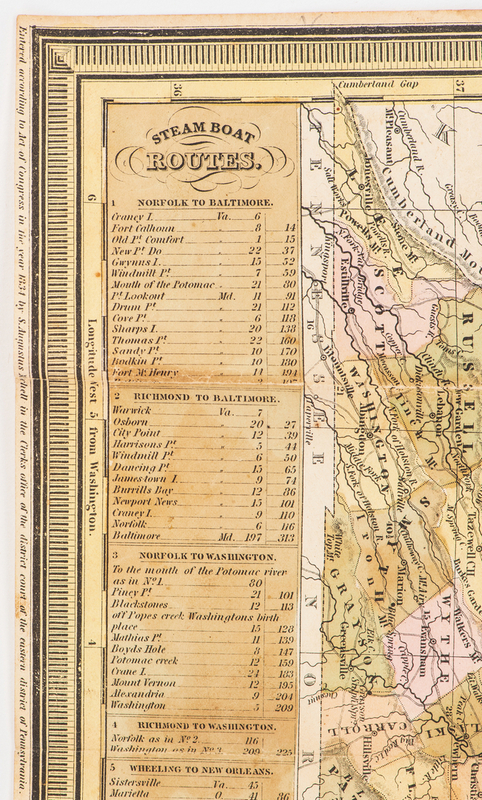 Title and scale of miles, top center, explanation, center left, Principal Railroad & Stage Routes Through Virginia, top right, tables of Steam Boat routes and distances, lower left and center. 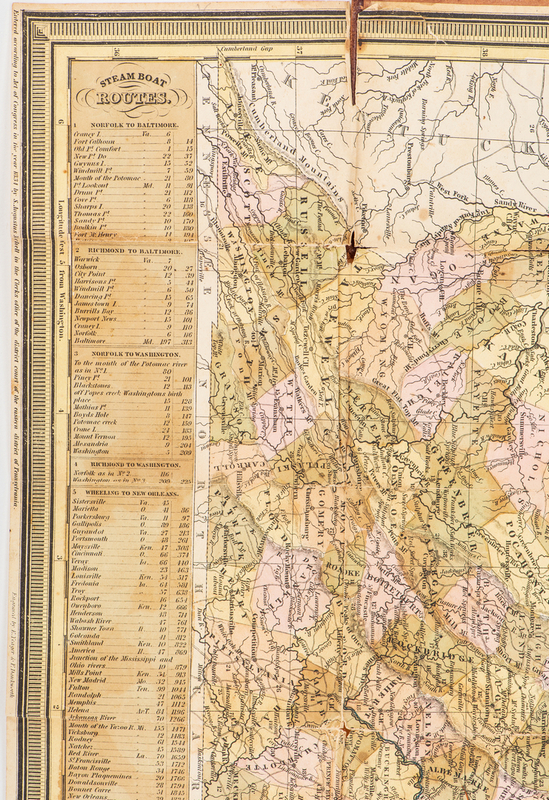 "Longitude West from Washington" top and lower left, "Longitude East from Washington", top and lower right of map. 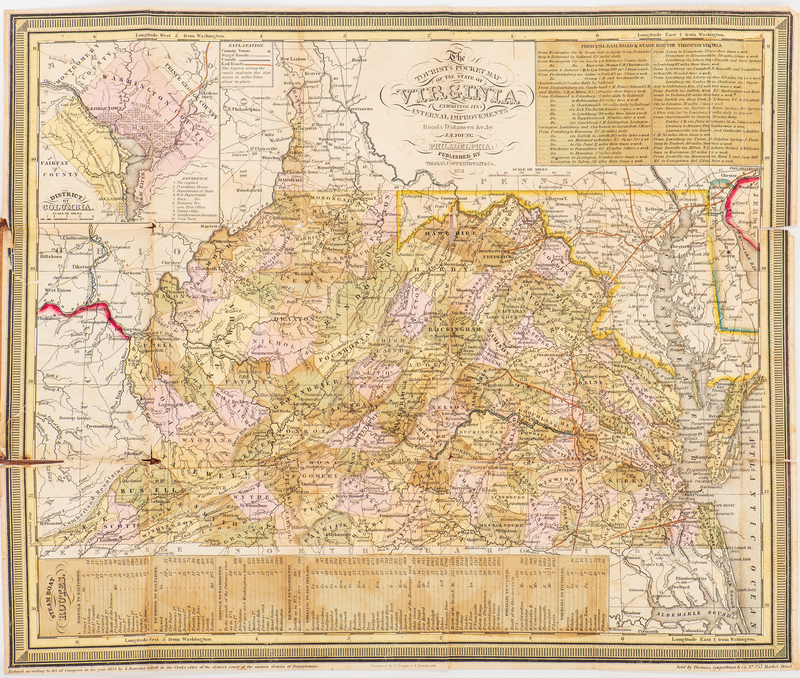 Map surrounded by scale notations and triple line border with decorative green border. 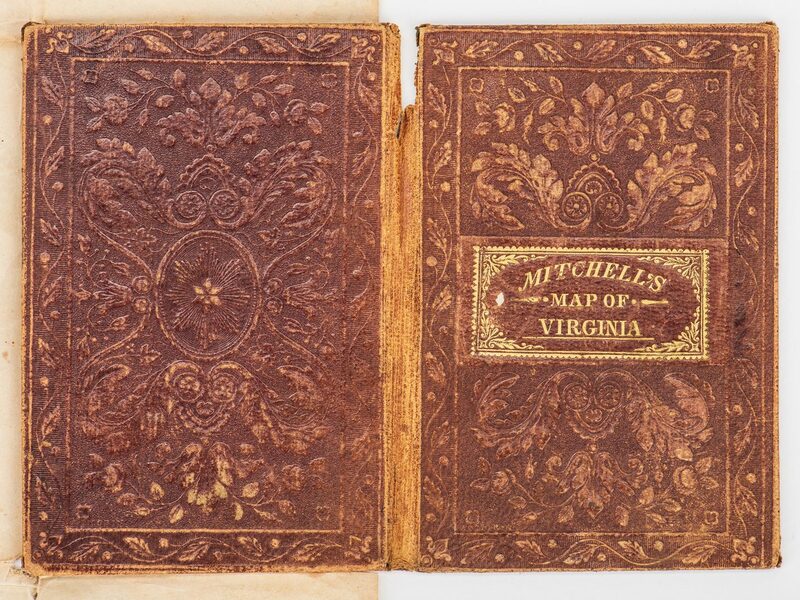 16mo when folded, housed in original tooled brown leather covers, stamped with gilt title lettering, front cover. 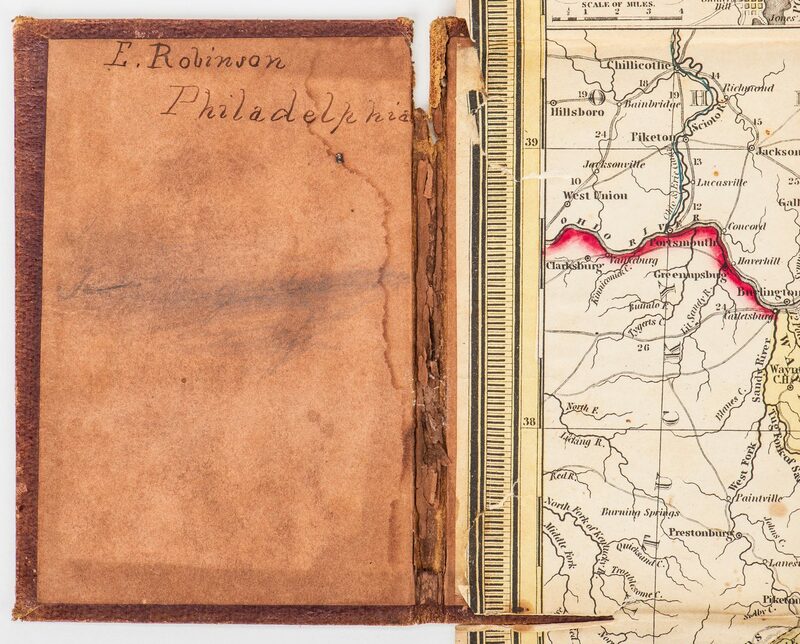 Ink inscription reading "E. Robinson Philadelphia" inside of front cover. 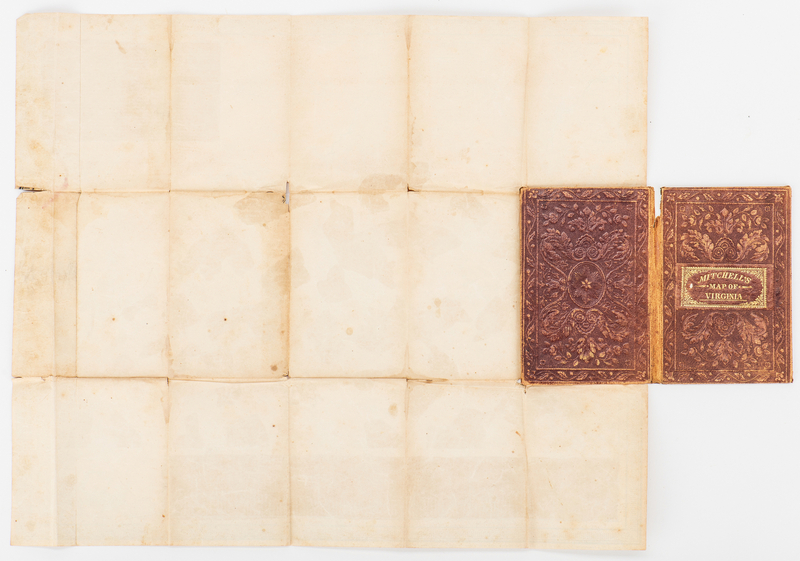 Map – 13 1/4" H x 15 7/8" W. Folded – 5" H x 3 3/8" W x 1/2" D. CONDITION: Original leather covers have surface wear, 3/4" tear at spine, fraying at corners of covers. 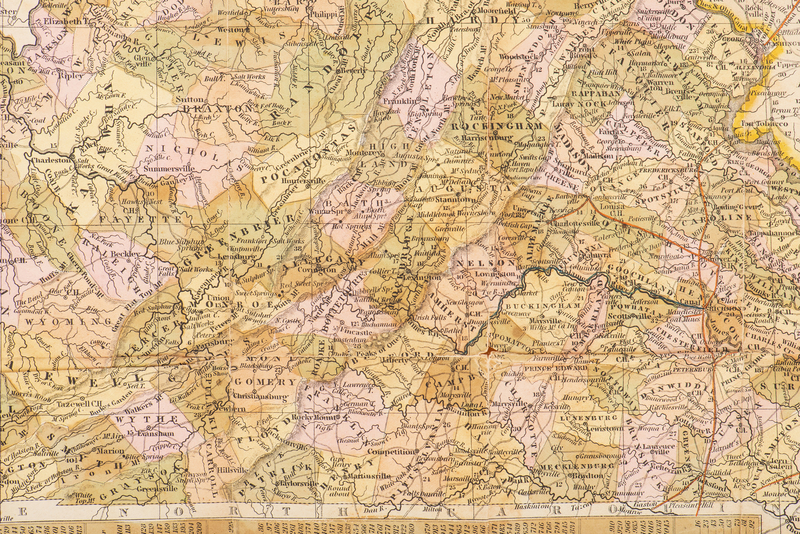 Map with some separations and a couple of losses at fold lines, toning, slight foxing.